Caribbean politicians and renewable power experts gathered Tuesday on British billionaire Richard Branson's private isle to discuss ways of transitioning to clean energy in an effort to spur small island nations to slash their dependence on fossil fuels and prepare for the impacts of climate change. 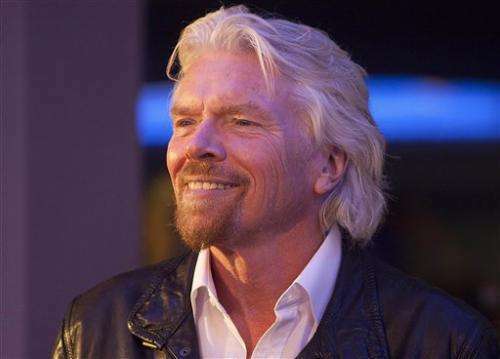 Branson, the CEO and founder of the Virgin Group of companies, is hosting a three-day meeting of political and business leaders at Necker Island, his home in the British Virgin Islands where he has developed an exclusive eco-resort showcasing renewable energy technology. The event is organized by the Carbon War Room, a nonprofit company Branson co-founded to promote cutbacks in greenhouse-gas emissions through smart private enterprise. It hopes to help small islands become carbon-neutral by accelerating commercial investment. Political delegations from 13 countries and territories, including several heads of state, are attending along with representatives from dozens of companies and multinational organizations. Branson said he believes the sun-splashed, wind-swept Caribbean can set a global example by embracing renewable power and energy self-reliance. The region with deep renewable resources and scant energy security now derives nearly all of its electricity from plants that burn imported oil and diesel. "We're hoping to get a number of islands to sign up to get as carbon-neutral as they can over the next few years," Branson said in a phone interview from Necker, a 74-acre getaway for jetsetters that is also home to over 200 flamingoes. Soaring power costs and the lack of energy security are major regional concerns. Jose Maria Figueres, a former Costa Rican president who is now the president of the Carbon War Room, said most import-dependent Caribbean islands pay 35 to 55 cents per kilowatt hour. Miami-area households pay an average of 11.5 cents per kilowatt hour. Regional governments have long recognized that pricey oil-generated power from utilities with a virtual monopoly on electricity makes their fragile economies even less competitive but most have made little progress with solar, wind and geothermal power. But proven renewable energy technologies offer islands the chance to reduce this significant burden for their economies and consumers, Figueres said. Jamaican Energy Minister Philip Paulwell recently said his country must reduce power costs from 42 cents per kilowatt hour to between 15-18 cents to be more competitive. Loan funding and removing taxes on solar energy equipment "will enable our people to participate in generating their own electricity and to sell it back to the grid." Since cash-strapped Caribbean governments don't have the money to introduce new public generating assets, independent power producer models are used on the islands, said Lynn Tabernacki, managing director of renewable energy programs at the U.S. government's Overseas Private Investment Corporation. In an email, Tabernacki said Caribbean island states present an opportunity, contrary to most markets where there is a struggle for renewables to achieve grid parity and considerable commercial and political risks if it's not achieved. Because in the Caribbean renewables would compete with the high cost of diesel and imported oil, she said there's a "strong commercial argument for making the switch as quickly and efficiently as possible." "The islands of the Caribbean have a significant opportunity to implement renewable energy and energy efficiency projects that could have dramatic economic, social, and environmental impacts," she said. On Necker, attendees are participating in renewable energy workshops across five areas: schools, hospitals, transport, tourism and utility scale renewable energy distribution for small islands. Last year, Branson hosted Caribbean political leaders and corporate executives on his private island to advance a conservation initiative dubbed the "Caribbean Challenge."